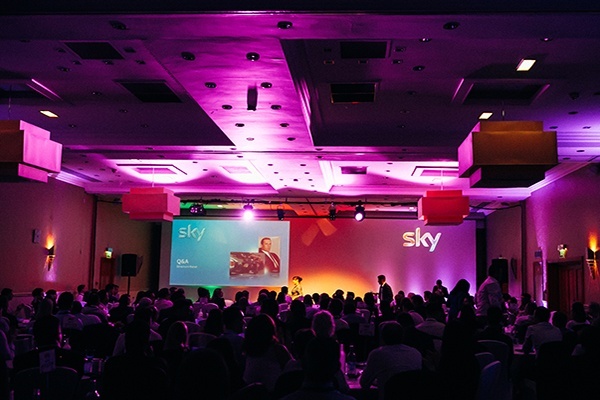 Our client, a large media organisation, wanted a two day conference with 210 people attending on day one, given dinner and overnight accommodation. On day two there would be 100 delegates. The event was part of our clients Roadshow for 2014. The client required support with transfers from the airport and train station to the venue, set and staging, AV, presentations to include animations, name badges and registration. For the evening, the client wanted to move away from the regular ‘conference barbecue’ and use the available outdoor space in a more creative way. Penguins created a full conference set based on the client's chosen theme as well including special effects. It was based on a two day conference programme which included engaging internal and external speakers, and additional breakout sessions. 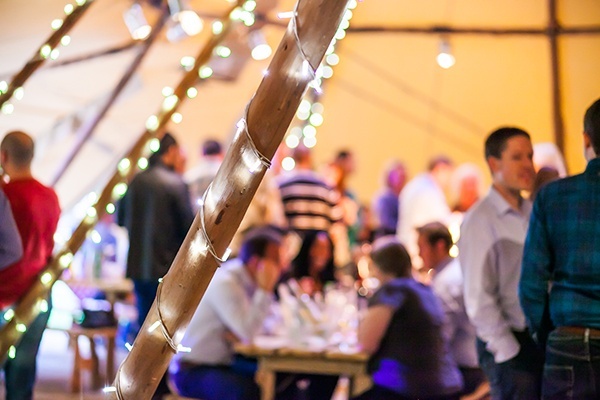 For the evening element we went festival style and set up a tipi village in the grounds of the venue. 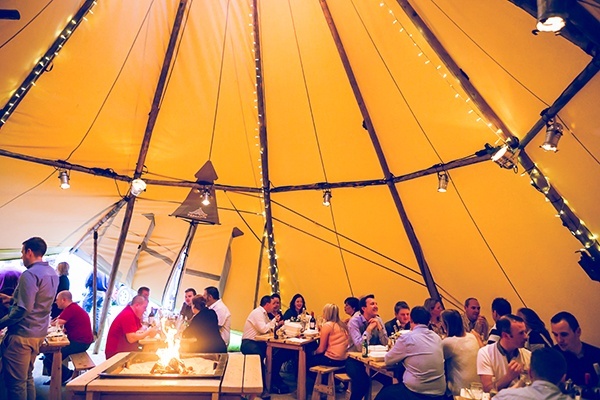 The tipis created a fully integrated party space with lighting, long tables, benches and open fires. The delegates enjoyed beer/wine from chilling buckets on the tables, festival-style food in take out boxes as well as adorning ponchos when the rain came down.